This is the larger version of the Tom Bihn Co-Pilot, a bag that's great for carrying on the plane with your books, e-reader, small tablet, and other things you might like to have under the seat in front of you. The Co-Pilot does its intended job very well, without taking away too much foot space. The big brother, the Tom Bihn Pilot - which looks exactly like a larger version of the Co-Pilot - holds 800 cubic inches, about twice the displacement of those humongous V8 engines Detroit used to bang out. The Co-Pilot holds 600 square inches, so the size gained isn't enormous. 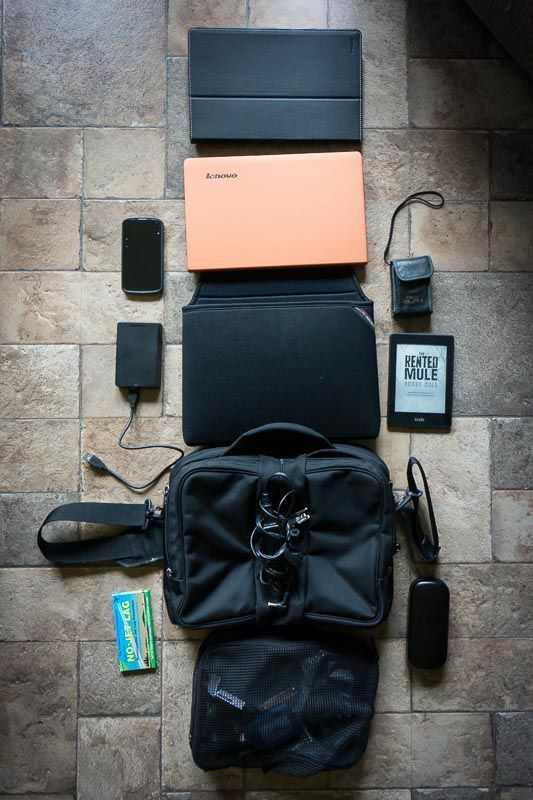 But, as you can see in the picture, you can fit a decent sized laptop in there, along with your other important stuff. If you wanted to make the Pilot your only carry-on, you will also want to cram some underwear, a toothbrush, and a spare shirt in there, just in case they lose your real suitcase for a few days. There's plenty of room, even with all your technology stuff nestled in their little pouches (your phone or mini-tablet gets a plush Ultrasuede® lining). The Pilot features a zipper that stops just short of the bottom, designed to allow you to slip the Pilot over the handle of rolling luggage. A small laptop (that fits inside a sleeve--shown below the laptop--that attaches to the Pilot interior). The Pilot will accommodate a 13" laptop. A Nexus 4 Cell Phone inside an Ultrasuede pocket, which is large enough to hold an iPad mini or equivalent. A packet of "No Jet Lag"
Resting on top of the Pilot is the power brick for the laptop, which went in the center section, the zipper for which is below the power brick. It's made to hold a water bottle but makes a fine container for this sort of thing. Here are the two bags side by side so you can compare the sizes. You can actually choose the material the bag is made of. You have two choices, which affect the final weight of the bag: high tenacity 1050 denier ballistic nylon or ultralight 400d Dyneema®/420d nylon ripstop. 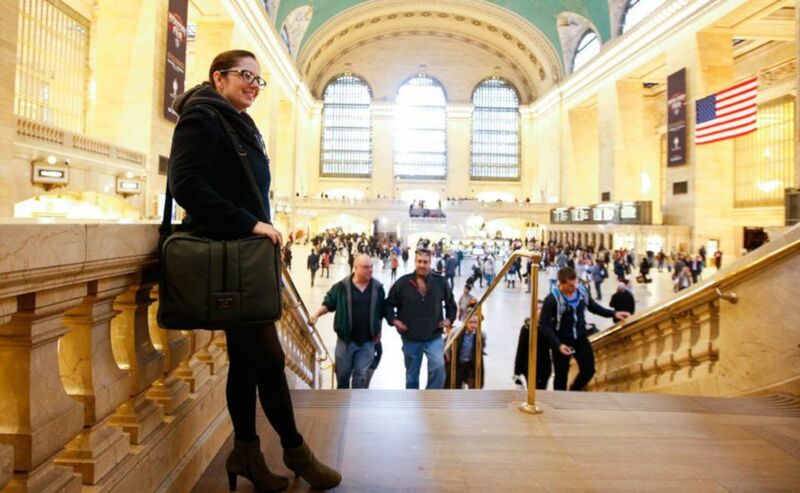 The diminutive Pilot bag isn't cheap, but if you travel a lot it makes a great investment. It's made well of high-tech materials, designed to last a very long time. On the plane, you should be able to get away with calling this a "personal" bag, like a purse, so that you can also carry another carry-on bag into the plane with you. It works great for what it's designed to do, and it's a welcome bag to have by your side on those long flights. If you travel far and frequently, you'll appreciate this bag.